School is all about learning new things, but for the volleyball team the learning doesn’t stop in the classroom. 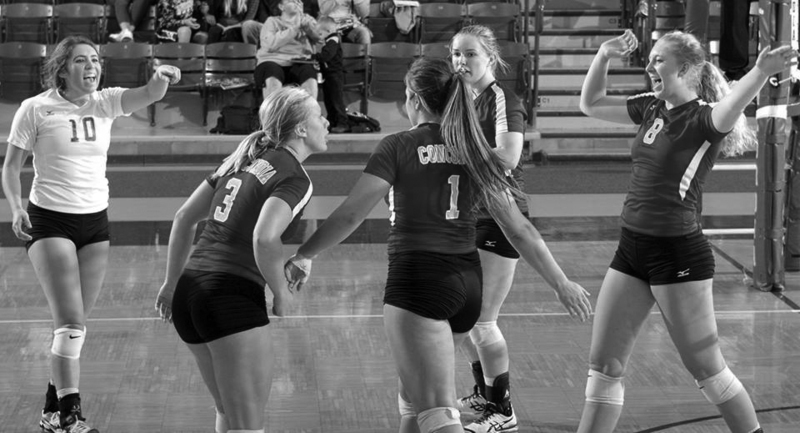 Once they have finished their classes for the day and put away their textbooks, they step onto the court and continuously learn how to play together. 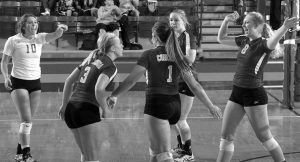 While every year brings a graduating class, the volleyball squad lost a fair amount of their team and were left with two to fill the empty shoes and show their seven freshman what college volleyball is all about. Right now, being half why through the season, the team is still working out some kinks. The graduating class left a hole in the hitting positions for the team this year, leaving the team to another adjustment beside being a fairly young team. Audience members may have noticed this change while sitting in the stands. 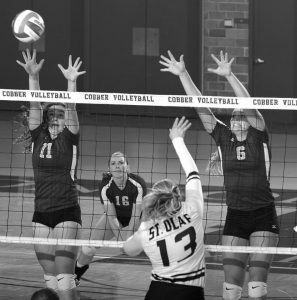 While last year and previous years Mercil and Klaphake both played a fair amount in the setter position, Mercil now does a little of both, setting and hitting. 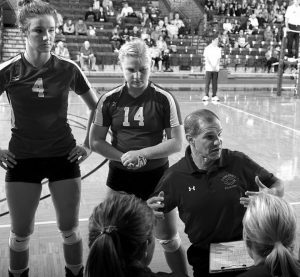 While Mercil has become a little more versed in her position playing ability this year, the newbies are working with the adjustments as well. By being thrown right into the mix of things. The adjustments have been an obstacle for the team all around. Where they may be lacking in hitters, they make up in other ways, but even those sometimes aren’t good enough. For Mercil it’s just desire to keep a consistent play. As a team, they are working through these struggles. While they may be starting to mesh a little better than earlier, the team will put it to the test in the next couple weeks. Although they may be playing the best they have all season, that needs to translate in the next couple of games as well. 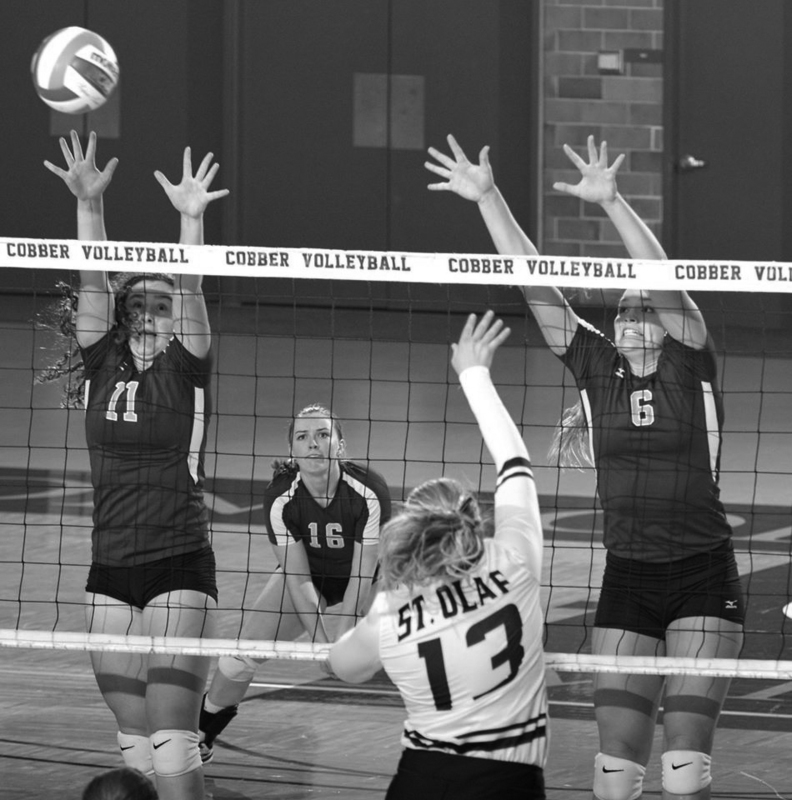 Cobber fans can see the volleyball squad in action Oct. 29 as they take on Saint Benedict.